Stokes, Hugh. Madame de Brinvilliers and Her Times, 1630-1676. Smith, Albert. The Marchioness of Brinvilliers: The Poisoner of the Seventeenth Century; A Romance of Old Paris. 1846. The fearless La Reynie pursues criminals through the labyrinthine neighborhoods of the city. He unearths a tightly knit cabal of poisoners, witches, and renegade priests. As he exposes their unholy work, he soon learns that no one is safe from black magic—not even the Sun King. In a world where a royal glance can turn success into disgrace, the distance between the quietly back-stabbing world of the king’s court and the criminal underground proves disturbingly short. 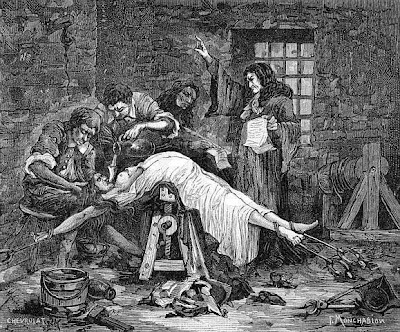 Nobles settle scores by employing witches to craft poisons and by hiring priests to perform dark rituals in Paris’s most illustrious churches and cathedrals. As La Reynie continues his investigations, he is haunted by a single question: Could Louis’s mistresses could be involved in such nefarious plots? The pragmatic and principled La Reynie must decide just how far he will go to protect his king. From secret courtrooms to torture chambers, City of Light, City of Poison is a gripping true-crime tale of deception and murder. Based on thousands of pages of court transcripts and La Reynie’s compulsive note-taking, as well as on letters and diaries, Tucker’s riveting narrative makes the fascinating, real-life characters breathe on the page. 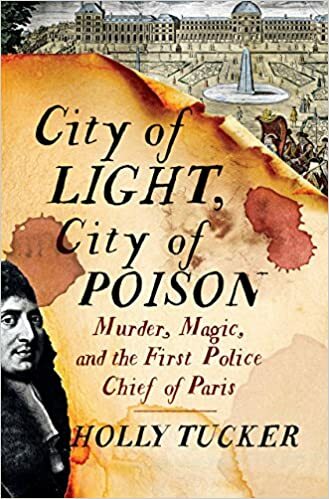 "City of Light, City of Poison: Murder, Magic, and the First Police Chief of Paris."